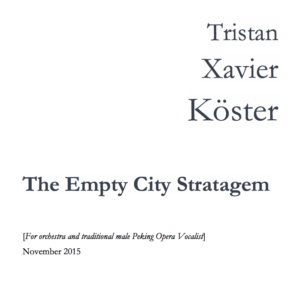 Simply put, “The Stratagem of the Empty City” is a piece against violent conflict: based on the Chinese legend of the same name, it narrates a general’s decision to not fight. Without an army to protect his city, Zhuge Liang used his wit to avoid a disastrous military conflict. Legend says that as Sima Lee’s forces loomed upon the town of Xicheng, Liang calmly played his guzheng to create an illusion of military confidence, convincing Lee’s forces that they were being ambushed. This piece expands the moment in which Lee analyzes Liang’s zither playing, trying to discern whether this display is one of weakness or of strength. My piece is divided between the experiences of these opponents, dissecting the dichotomy between Lee’s perception of the music, and the music’s true status as a disguise of Liang’s solitude. Lying between the worlds of ancient Peking Opera and contemporary classical music,“The Empty City Stratagem” exists in a state of artistic flux. 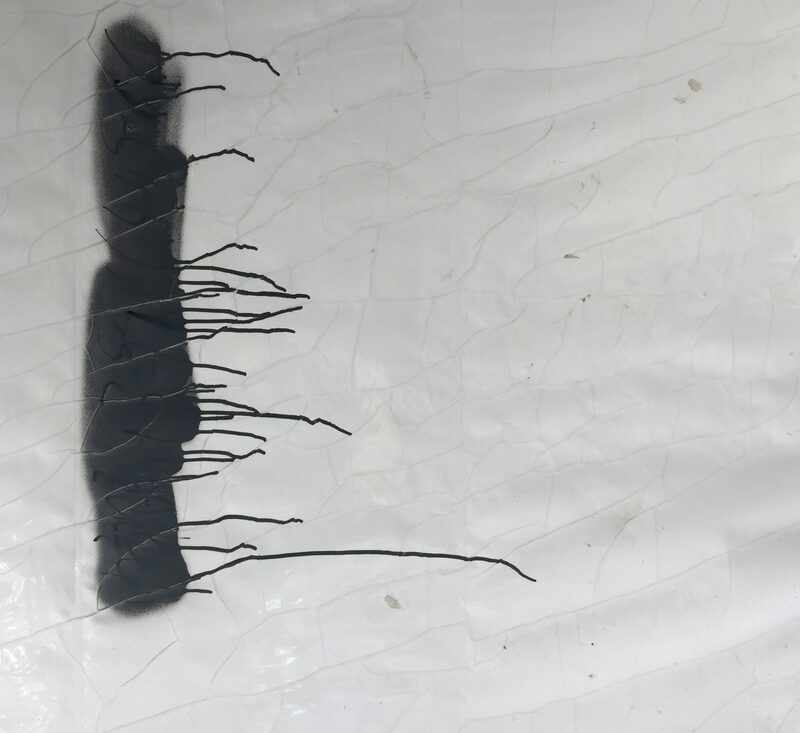 While adapting the piece’s contemporary classical aesthetic, I strive to create a dialogue between two seemingly disparate artistic and cultural mediums. Although my composition is considerably influenced by Peking Opera, reworking the genre was not my intention. For those who have grown up in China, Peking Opera is second nature; as a German-American composer, this piece was my first opportunity to connect with Peking Opera and its unique expressive qualities. One of the most beautiful aspects of music is its ability to transcend cultural and linguistic barriers. As a composer, it is my responsibility to create an artistic and expressive aesthetic that can transform these obstacles to unite listeners. While writing this piece, I had the goal of paying respect to the tradition of Peking Opera and its vital role in Chinese cultural identity while also conveying its modern international importance.